“We’re officially in Northern Lights season, so if this spectacular phenomenon is on your bucket list, you’ve got until March to head north.” Writer Maggie O’Sullivan of The Travel Wrap Company urges customers to Look North This Winter and see the northern lights. 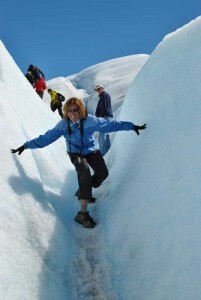 We’re thankful to be included in her list of global tours that chase the aurora. 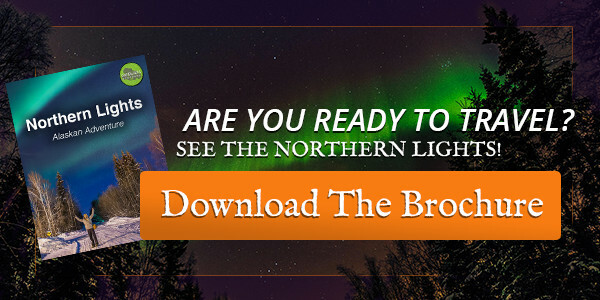 A while back, we wrote an article about what to pack for the Northern Lights Ecotour. This list focused on outer layers for outdoor adventures, like snapping photos of the aurora, dogsledding, hiking and more! Sunglasses: Though temperatures may be freezing, the winter sun can still be bright. Plus, they protect your sensitive eye area from sun and wind. Long Underwear: Lightweight layers that go under nearly all outfits. Look for lightweight silk, wool or quick dry fabrics. Bring several pairs so you can switch them out. Flannel & Jeans: For dinners etc., these will be better for “dress up” than outerwear. Scarf/Wrap: A versatile garment that can double as a balaclava, blanket or shawl when you need that extra layer of warmth. Traction Cleats: Provides an extra layer of grip when walking on icy and snowy streets. Headlamp/Flashlight: The time spent photographing the northern lights will be at night, in the dark. These make it easier to navigate buttons and get around in the dark. Watch: Easier than fumbling around for your smartphone with mittens on! Forget something? Cold? Unprepared? Fairbanks is a large city with modern amenities. They have any supply needed to brave the Alaskan winter in town, so forgetting a few items at home isn’t a dealbreaker. Also, our lodge provides outerwear and parkas for rent, so we won’t let you freeze or miss out on the fun! Out of all the tours offered in this article, Gondwana was the only company with a sustainable focus. We carbon offset our guests’ flights, and “A portion of the proceeds from Gondwana’s Northern Lights Alaskan Adventure trips will be donated to the non-profit Northern Alaska Environmental Center.” Join us for the next Alaskan Northern Lights Ecotour and take advantage of our travel experience in Alaska and eco-friendly mission.